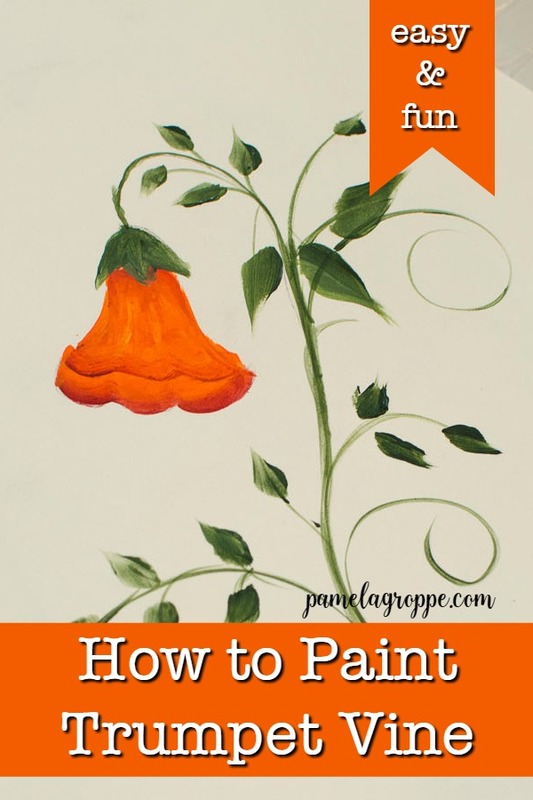 Here is a fast and easy how to paint trumpet vine tutorial for beginners and accomplished painters alike. 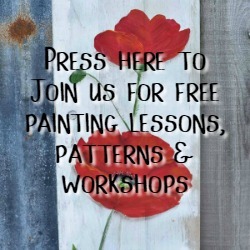 Step by step painting lesson with video. 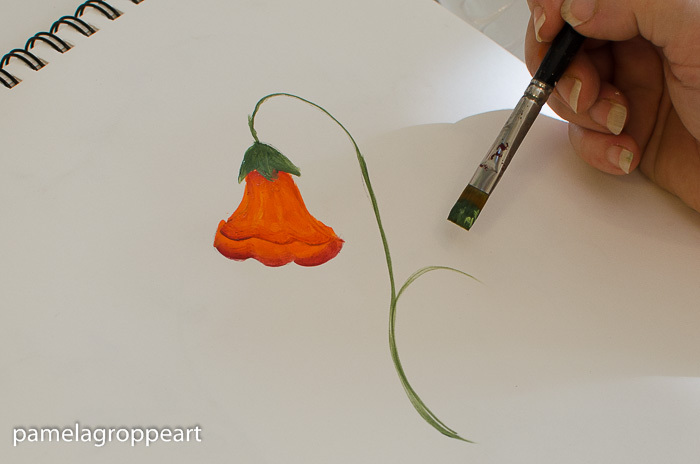 Easy how to paint trumpet vine with video is here for you. 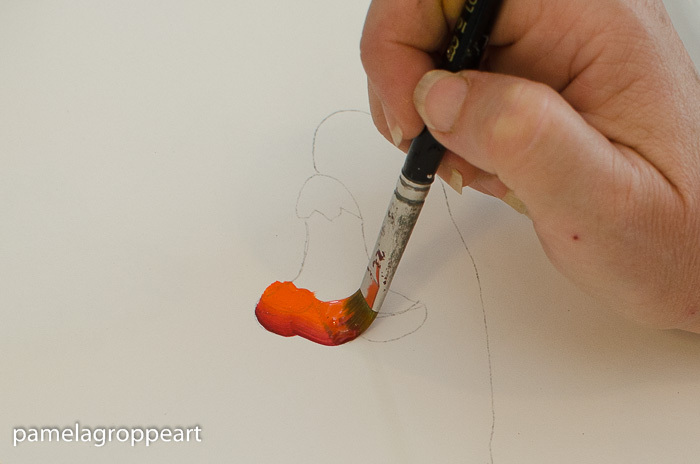 Paint this one stroke at a time in combination with the hummingbird to create a beautiful painting. Paint it on DIY signs, canvas or furniture for unique decor! 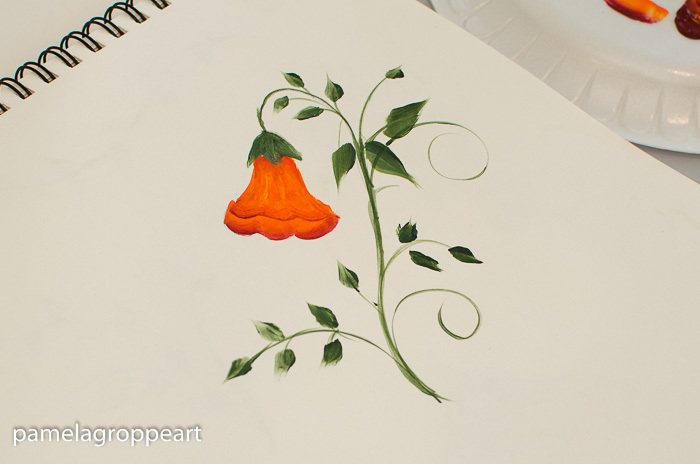 This is such a fun flower to paint. 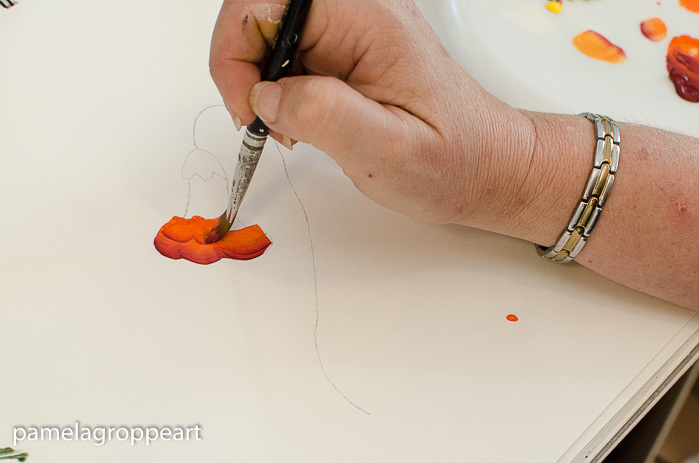 And super easy too, so grab your brushes and paints and let’s get started. You can soooo do this. 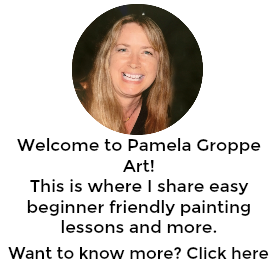 A free real time video is included at the end of this post. 2. Double load your #12 flat brush with mostly Tangelo orange then on one corner of your brush add some of the Burgundy color. New here? I have a great post for learning the basics, terminology and strokes HERE! 3. Stroke on the bottom of the petal keeping the Burgundy on the outside edge. 4. 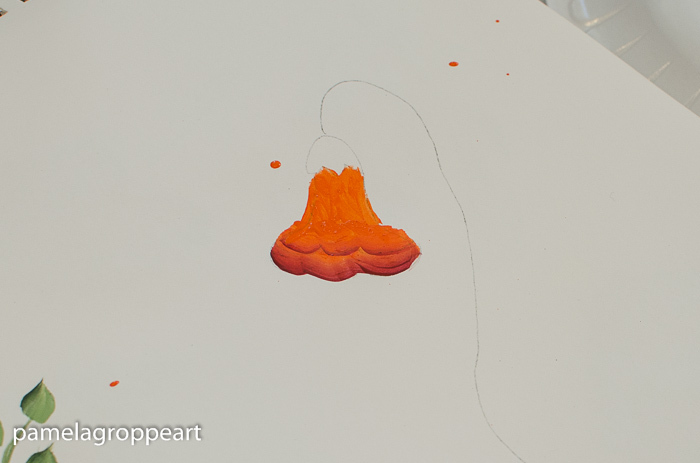 Reload your brush and do the upper petal lapping over the orange. 5. 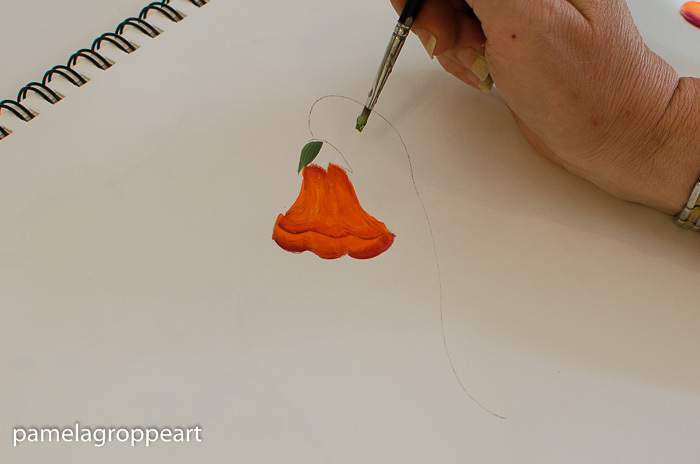 Fill in the base of the flower with Tangelo orange. 7. With the tiniest touch of burgundy mixed with orange, use the chisel edge of the brush to pull in some lines for texture. I also sometimes do this with a touch of yellow, depends on my mood. 8. Add the calyx with your # 4 brush and a double load of the Evergreen and the Foliage green. Stroke on 3, they look like an upside down leaf. 9. 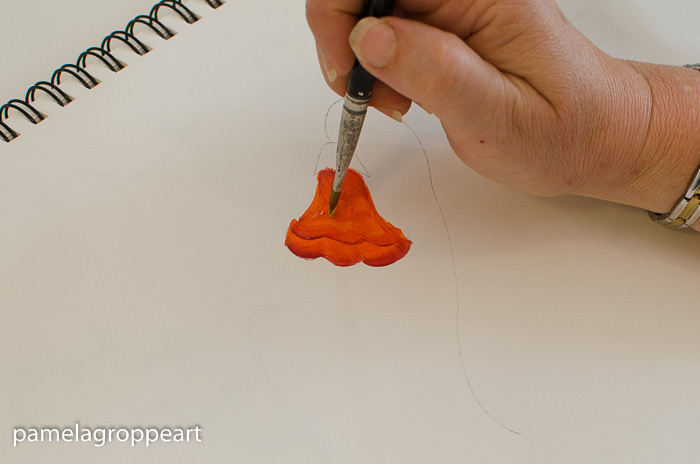 You can use the chisel edge of your #4 brush or a script liner to stroke on your stem. 10. Add leaves and some vines and you have your gorgeous Trumpet Vine! in the following colors or whatever you choose. Combine this painting Tutorial with These!